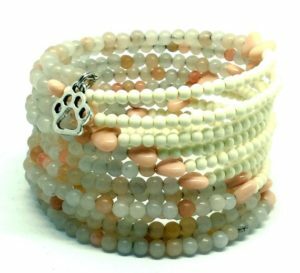 For October, Beading Divas to the Rescue is excited to be fundraising for SAVER (Southern Arizona Veterinary Equine Rescue). 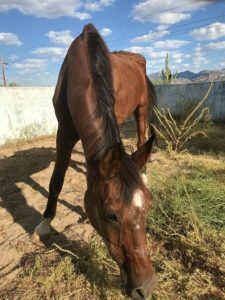 Saving as many horses’ lives as possible is not unique; what sets SAVER apart from other rescue organizations is that SAVER also provides veterinary care and oversight. Ava, SAVER’s 8th rescue horse, was confiscated by the Tucson Police Department due to neglect and starvation. Ava came to SAVER 200 pounds underweight with horrible teeth, no history of vaccinations, or any evidence of medical attention whatsoever. Ava was so starved and her teeth were so bad she had to be feed slowly for the first week to keep her from choking. Since arriving at SAVER, Ava has had her teeth floated, been dewormed and vaccinated, had a full physical assessment, and receives plenty of hay and supplements to help her gain the weight she needs to be healthy. 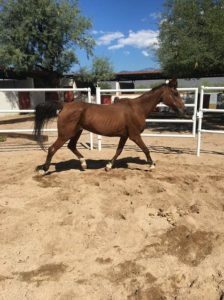 Ava is a spunky mare with a great attitude and a lot of potential. Even at 20 years old Ava is active, happy, and makes the best of everyday! Ava will be available for adoption once healthy, and with a little basic training and regular exercise she will make a great addition to the right home.